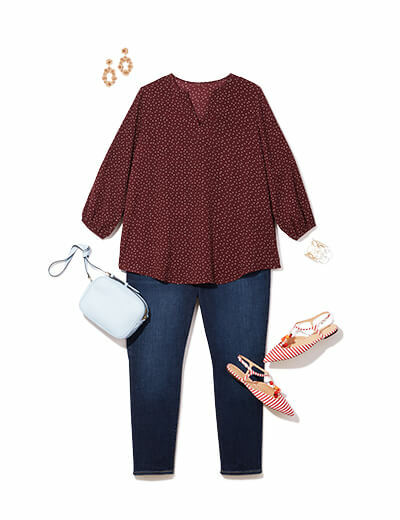 Defining your personal style can be tricky, but we’re here to help you find plus size outfits that perfectly encompass you. Learn our tips for building a wardrobe full of easy-to-wear casual outfits to see if this style is right for you! Casual style can be difficult to define because we all dress down from time to time. Even the most glamorous among us have casual outfits in their wardrobes. But when it comes to defining your own personal style, it’s important to know what you wear most often. If you rock heels each day but the occasional joggers and tee on the weekend, you’re probably not a casual girl. However, if the clothes you see here are about as dressed up as you get, casual style is right up your alley! 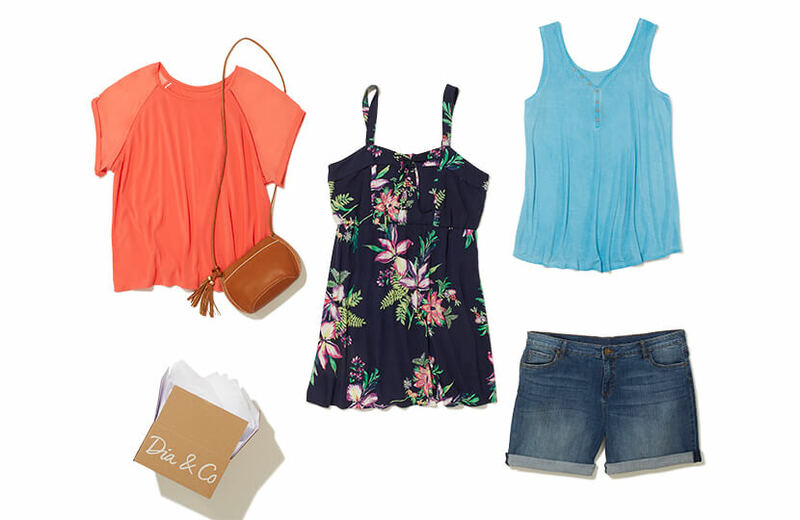 Here’s an example of a Dia Style Box featuring casual summer pieces. To help you get a feel for what casual style is, here are some good rules of thumb. Your friends tell you that you’re the fanciest of the crew. Mixing patterns and layering on accessories isn’t really your thing. You’d feel uncomfortable wearing jeans every day. Flats and sneakers are at a minimum in your closet. You value simplicity and comfort over all else. Statement pieces aren’t something you care for—you very much prefer versatile styles. You generally wear knit (a.k.a. stretchy!) styles and not woven. Jewelry and accessories aren’t important elements to your outfits. Just because you love comfy and fuss-free clothing doesn’t mean you can’t have fun with fashion! 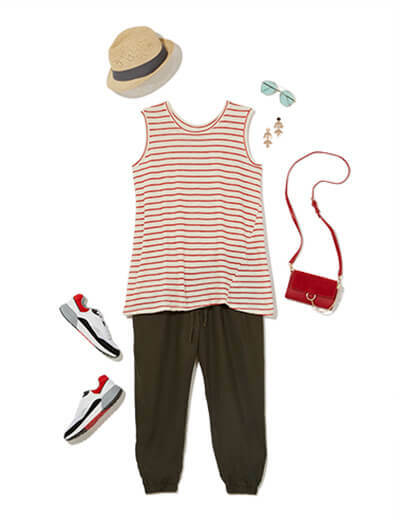 Here are some put-together casual outfits to inspire you when you’re getting ready in the morning. Wish sweatpants were chic? Try joggers! They’re an unexpected silhouette that pairs perfectly with easy tanks, sneakers, and travel days. Pair a comfy top like a sweatshirt with your joggers and look for fashion details like prints and cut-outs to make your effortless outfit look polished. Yes, you can wear sneakers with a dress. 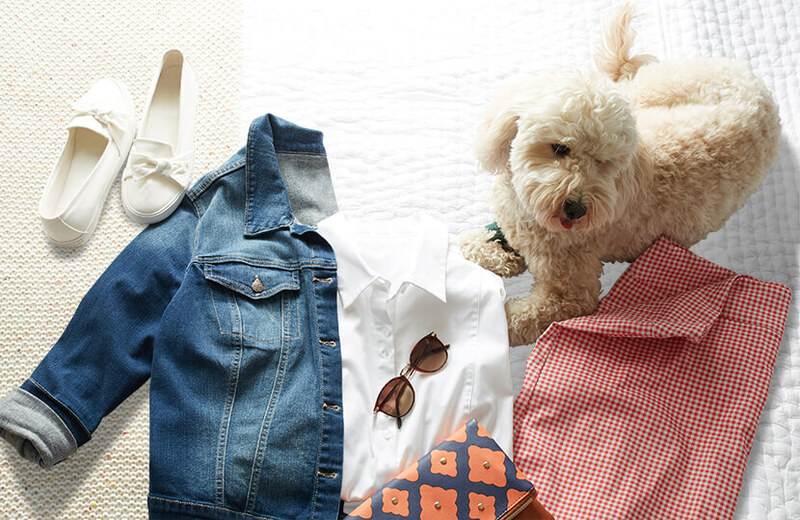 Dress down this closet staple with a casual denim jacket and a hands-free crossbody bag. 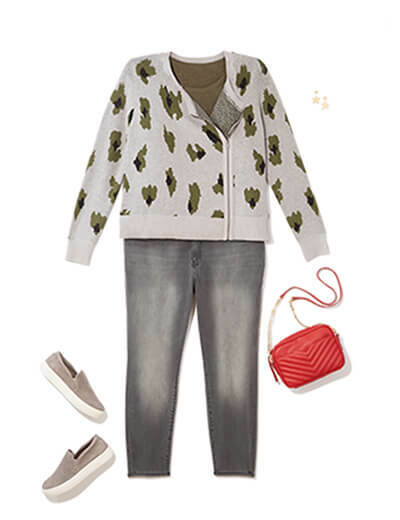 A comfy knit printed top with features like bows or ties elevates your everyday denim-and-sandals ensemble. White denim adds a layer of sophistication. A tunic and jeans can be chic when paired with flats that have a fun visual element, like a playful print or unique straps. An oversized-sweater-and-jeans combo is always cozy and comfy, but a layering tee and printed flats make your outfit more thoughtful. Instead of an expected solid sweater and blue jeans look, try grey jeans and a graphic sweater for an unexpected-but-easy outfit. Comfy leggings get a polished update when paired with a unique graphic sweater. Completed with a polished jacket and sneakers, this is the perfect weekend outfit. If these outfits speak to you, make sure to let your Dia Stylist know so they can find similar pieces for your next Dia Style Box. Plus, don’t forget to update your Style Profile so your stylist knows that casual outfits are a good fit for your lifestyle. Here’s to cute, comfy, and chic style!